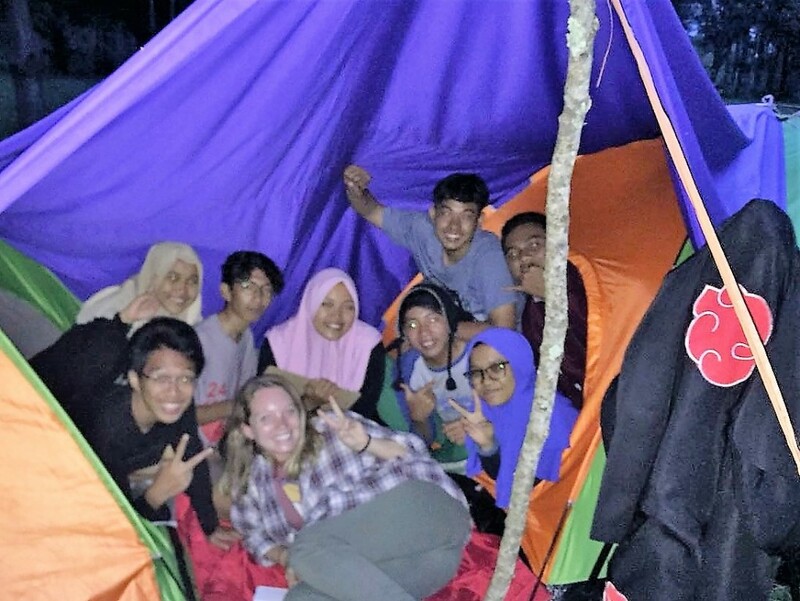 This month, ETA Elena Dietz was invited by English Language Fellow Yuta Otake to participate in his university class’ English Camp at Coban Rondo in Batu, East Java. The camp was organized mostly by the students themselves and was structured like a competition between four teams. During the day, they played games that kept them active, bonded them as a team, and worked on their English skills. 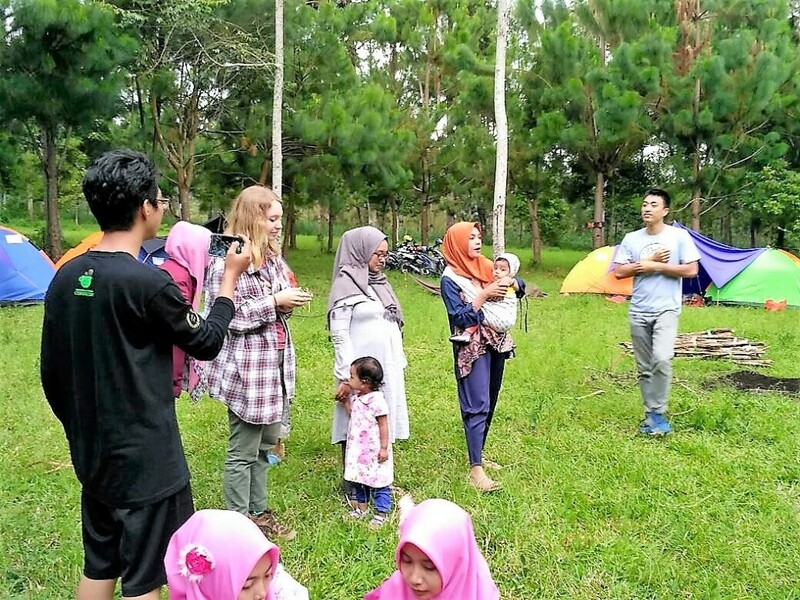 Elena and Yuta, as well as some special guest lecturers from the UIN Malang English department, acted as judges and moderators for the different games and competitions. There was even a master chef round where each team made fried noodles using different ingredients and a gas stove. After cooking, they had to present their dish to the judges and describe the cooking process and ingredients in English. After more games and gathering around the campfire, the last activity of the evening was grilling corn over the fresh coals and telling ghost stories. To read more about ETA Program & Interested to be a host to an American Fulbright ETA? Field Trip to American Corner!